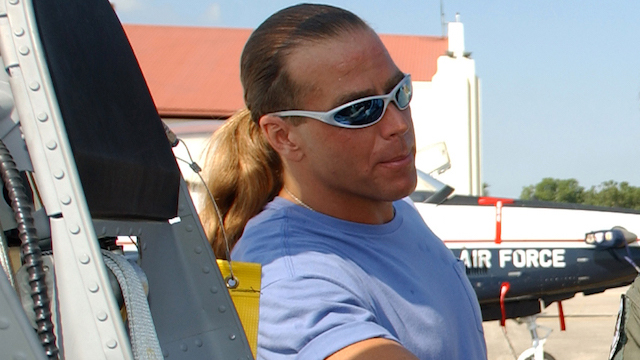 In this interview Shawn Michaels talks about his passion for the future of wrestling: "The family and I went on a vacation to Florida, we went down and visited the Performance Center, and it's an infectious atmosphere. Unbelievably passionate young men and women down there, and it was just something I wanted to be a part of. I think obviously this line of work is something I love. As you begin to think about the WWE and the future of it, you want it to be in good hands. One of the best ways to do that is to get your hands in there and hopefully make it become that way. Honestly after Hunter and I talked about it, my family and I made the decision to move to Florida. It's just been a wonderful decision. I have an unbelievably great amount of joy being down there with everyone." A new Impact Wrestling video featuring their top five AJ Styles moments from Slammiversary can be found below. Here Eric Bischoff says it's a bad idea for WWE programming to go to FOX: "Anybody who comes along and wants to sell a wrestling show, guess who you are not gonna sell it to? You are not going to sell it to FOX and any of its affiliates and, oh by the way, you are not going to sell it to NBC Universal or any of its affiliates. So the world in terms of one's ability to sell a traditional wrestling television show to a traditional television or broadcast partner has just collapsed." SmackDown & 205 Live highlight videos are available for your viewing pleasure right here along with other WWE related clips! For those interested here's a new interview with ROH's Vinny Marseglia from ProWrestling.com. Here Charlotte Flair talks about beating Asuka at WrestleMania: "That match meant so much to me. I was emotional! I feel as if I've done so much in the WWE, but facing Asuka at WrestleMania, and having a singles match which hasn't happened in almost 10 or 11 years, knowing that I had the opportunity to steal the show, and the expectations for women's wrestling... when it was over, I just knew I had given it my all. The last place my little brother wrestled was in Japan, and my father's legacy is a huge part of Japanese culture and getting to face Asuka who is a Japanese superstar, just made my career come full circle. Overall, I felt like, 'IT'S DONE!' I needed to freak out." Colt Cabana was given a chance to put to bed whether or not he and CM Punk are still friends, but Cabana's answers on Busted Open Radio may raise more questions: "We're... we're what we are, you know? (Are you still cordial at least?) Yes. Of course we are." * Tucker Knight and Otis Dozovic defeated Steve Cutler and Wesley Blake in a strong opener. Heavy Machinery was over big with the crowd and hit the Compactor for the win. * Zack Gibson defeated Tyler Bate. * Dakota Kai and Candice LeRae defeated Bianca Belair and Lacey Evans. Tension between Belair and Evans led to LeRae getting the pin on Evans. Belair and Evans argued after the match. * Ricochet and Johnny Gargano defeated The Velveteen Dream and Tommaso Ciampa. Great match with lots of energy and in-ring action, near falls. Ciampa tapped out to the Gargano Escape for the end. Ricochet and Gargano celebrated with a French flag after the match. * NXT Women's Champion Shayna Baszler retained over Nikki Cross by submission. This was a borefest and slowed the whole show down with Baszler keeping Cross down. * WWE UK Champion Pete Dunne, Oney Lorcan and Danny Burch defeated The Undisputed Era (NXT North American Champion, NXT Tag Team Champions Kyle O'Reilly & Roderick Strong). This was match of the night and should have been the main event. The Undisputed Era were the MVPs of the show, really shining as Superstars. Dunne pinned O'Reilly with a Bitter End for the end but he walked out on the celebration, leaving Burch and Lorcan in the ring. * NXT Champion Aleister Black retained over Lars Sullivan by disqualification. A strong, aggressive match that left me feeling hopeful for Takeover. Lars tried a few times to put Black away and became more frustrated after a Freak Accident failed. Lars argued with the referee and shoved him down for the DQ. Lars brought a table into the ring and tried to put Black through it but Black put him through it with a Black Mass. Black did a post-match promo that thanked the fans of France as he has history here. * Heavy Machinery defeated Fabian Aichner and Marcel Barthel. * Wolfgang defeated Steve Cutler. * Dakot Kai and Candice LeRae defeated Bianca Belair and Lacey Evans. * NXT North American Champion Adam Cole retained over Zack Gibson. * NXT Tag Team Champions Kyle O'Reilly and Roderick String retained over Danny Burch and Oney Lorcan. * NXT Champion Aleister Black, WWE UK Champion Pete Dunne and Johnny Gargano defeated Lars Sullivan, The Velveteen Dream and Tommaso Ciampa.